The South Tower is affectionately called ‘Steffl’ by the Viennese and is one of Vienna’s main landmarks. 343 steps lead you up to the ‘Türmerstube’, from where you will enjoy a wonderful view over the entire city. Forr guests in average physical condition, the tour of the tower takes about 10 to 15 minutes. 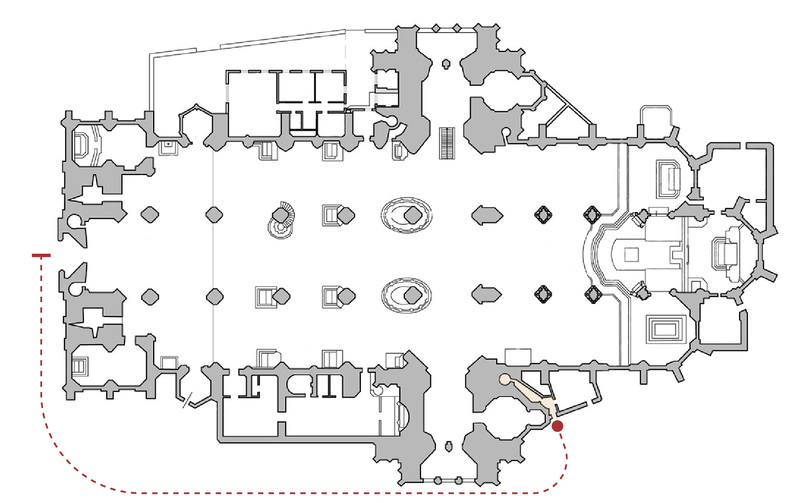 The red dot indicates the entrance to the South Tower. Your effort to climb to the top will be rewarded with a wonderful view.